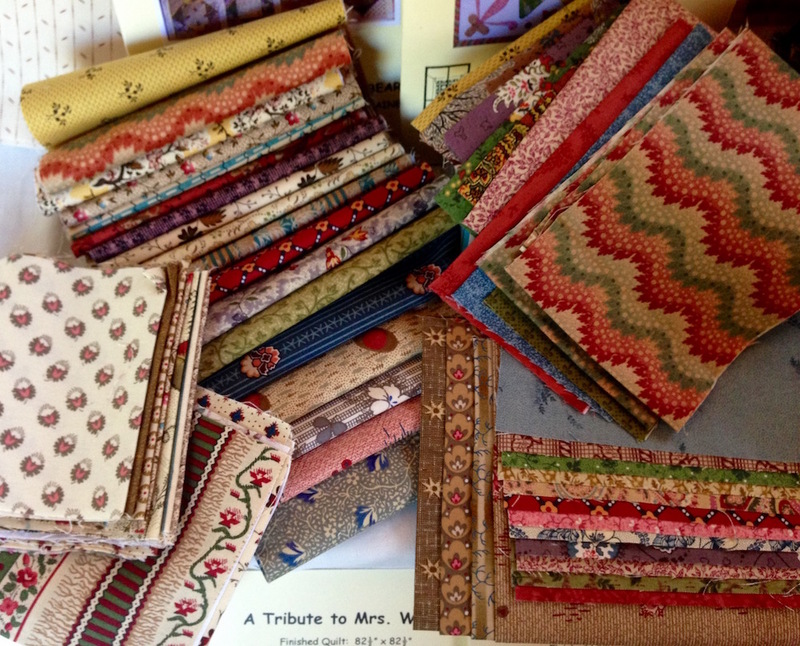 Visitors to the Waverley Patchworkers Quilt Show were invited to vote for their favourite quilt from all on display. 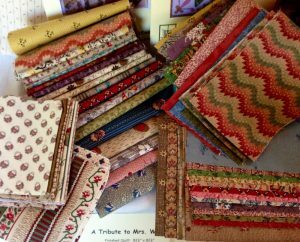 There were lots of complaints about this as it was to difficult to choose just one quilt from all the fabulous entries! 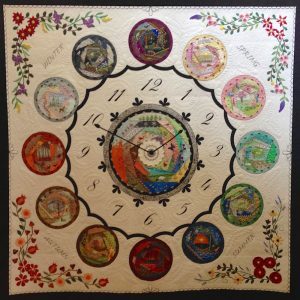 Decisions were finally made and the viewers choose A Time for all Seasons an original design by Linda Steele, she also did the quilting. The voting was so close a Runner Up was awarded as well. 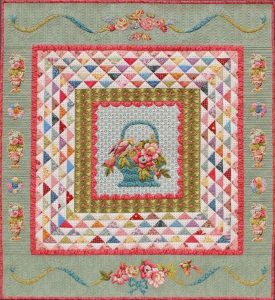 Liz Willing took inspiration from Mary Brown’s birds for the centre block of My Heart is Yours, an extremely popular quilt. This year the 51 entries for the Birds of a Feather Flock Together Challenge were displayed in the cafe. This gave viewers lots of time to think about their choice over a cup of tea and a scone. Again they complained – too hard! The ultimate winner: Number 227 Eastern Spinebills by Jan Smart. Again a runner up was awarded. 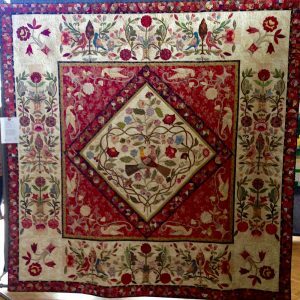 It went to Number 223 by Naomi Hynes. Congratulations to Mariya Waters who organised and displayed this very successful challenge. 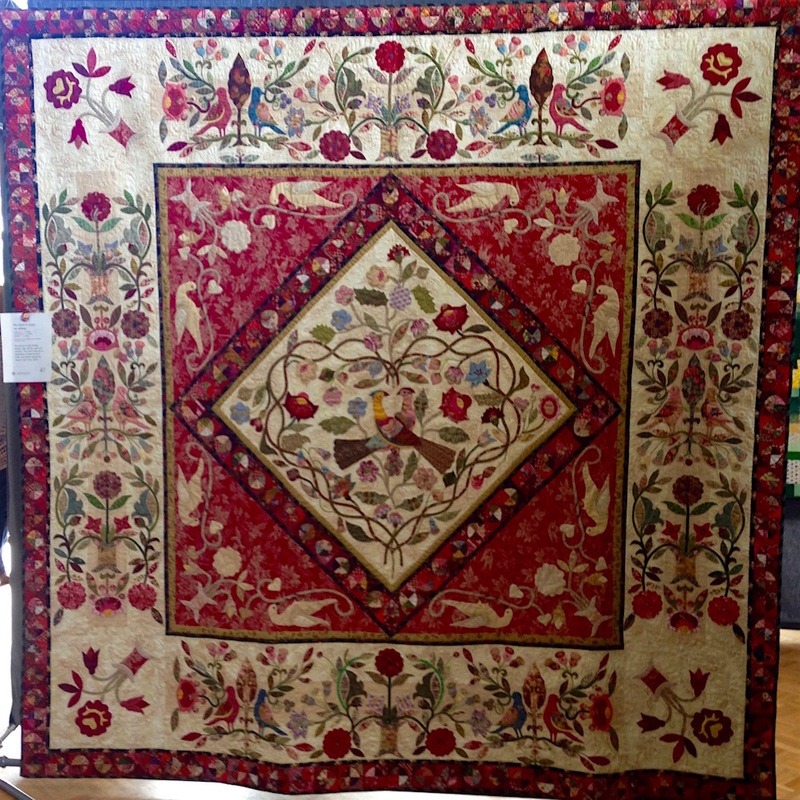 The beautiful raffle quilt Floral Flight was won by ticket number 2986, and we are assured it is going to a good home. 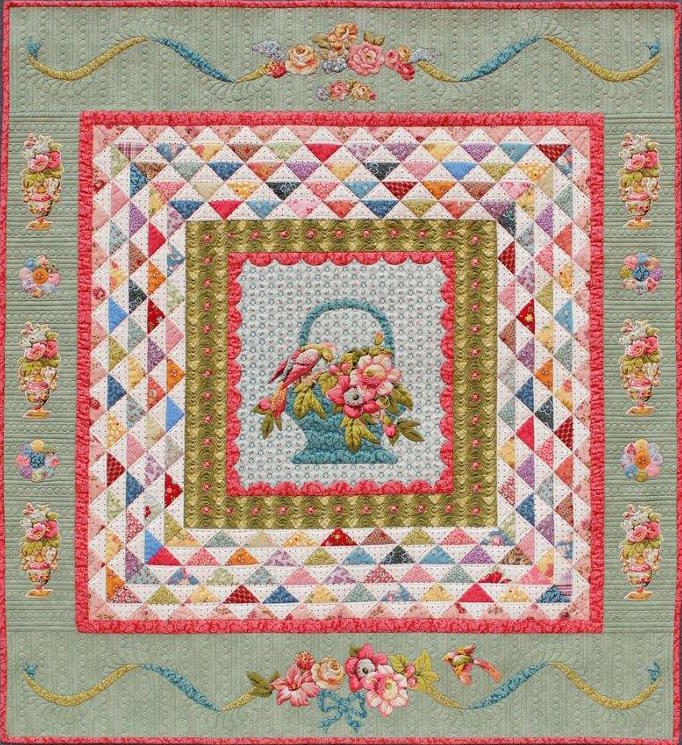 Second prize, the quilt kit Tribute to Mrs Williams was won by ticket number 0317 and we hope the recipient is someone who will enjoying making this lovely quilt. 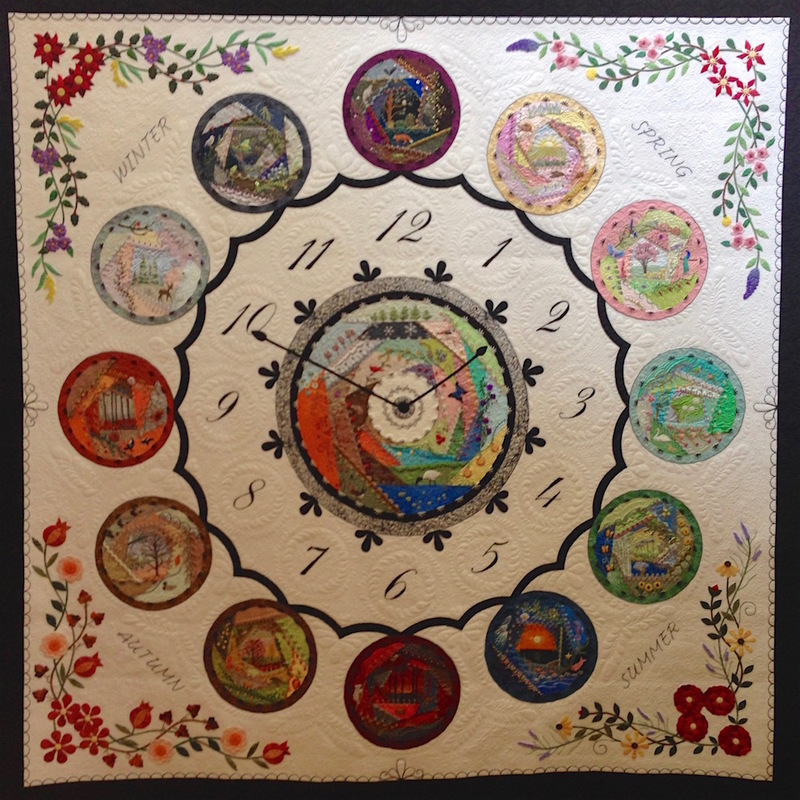 This entry was posted in News, Quilt Show. Bookmark the permalink.